From Wikipedia, the free encyclopedia. 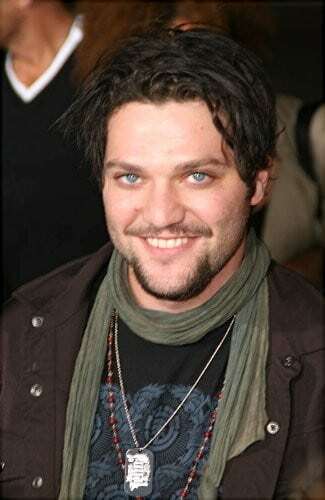 Brandon Cole "Bam" Margera (pronounced /mÉrËdÊÉÉrÉ/ mar-JAIR-É; born September 28, 1979) is an American professional skateboarder, television and radio personality, actor and daredevil. He released a series of videos under the CKY banner and came to prominence after being drafted into MTV's Jackass crew. He has since appeared in MTV's Viva La Bam and Bam's Unholy Union, all three Jackass movies, and Haggard and Minghags, both of which he co-wrote and directed. Description above from the Wikipedia article Bam Margera , licensed under CC-BY-SA, full list of contributors on Wikipedia.